Sign Language Stores: The Wave of the Future? Starbucks opened a new signing store in Washington D.C. last Fall. The store is the first of its kind in the U.S. and is located near Gallaudet University, an institution for Deaf and hard of hearing students. The store features a beautiful sign language mural that was created by a Deaf artist and adjunct professor of Gallaudet University. Deaf “partners” (employees) at the store wear aprons (pictured above) with the word “Starbucks” signed on them. All partners - even those who hear - are fluent in American Sign Language. The hearing partners wear traditional Starbucks aprons with an “I Sign” pin on them. The store features a “sign of the week” above the register to give hearing customers the opportunity to learn words in sign language. There are many more details incorporated into this well-thought-out space. Read more on the Starbucks website. With 20% of the U.S. population (~48 million Americans) experiencing some form of hearing loss, we hope the Starbucks Signing Store inspires more brands to create similar experiences for this community. Cardiovascular disease, or heart disease, refers to a number of conditions that cause narrowed or blocked blood vessels and contribute to heart attacks, chest pain, or stroke. Our auditory system depends on an oxygen-rich blood flow. 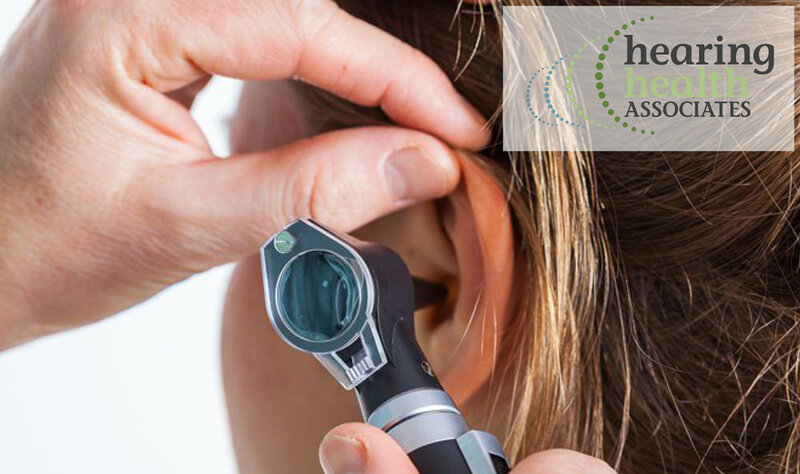 The tiny hair cells in the inner ear responsible for conducting sound to the brain can be damaged if sufficient oxygen through the blood is unavailable due to the narrowed or blocked blood vessels. This cell damage is what causes permanent hearing loss. Avoid smoking: Smoking is known to be harmful to your heart and your inner ears. Read more about the relationship between smoking and hearing health. Exercise: Exercise helps increase blood flow (among many other benefits)! Exercising for 20-30 minutes per day, four or five days a week, can contribute to a healthy heart and healthy hearing. Nutrition: A heart-healthy diet can help improve your hearing and prevent further hearing loss. Click here to read more about foods to consume and avoid. Research from Harvard University found that hearing loss occurs 54 percent more often in people with heart disease, compared to the general population. Researchers also hypothesize that low frequency hearing loss - especially in people who are middle-aged or younger - could be an indicator of the presence or potential development of cardiovascular disease. If you already have hearing loss, it’s important to speak to your healthcare professional about whether it might indicate heart disease, as well. If you suspect you have hearing loss, its connection to your heart health should be reason enough to get your hearing tested. If you or someone you know are concerned about your hearing, feel free to contact us or take our hearing questionnaire. Holidays are a time for family gatherings and celebrations. While most of us relish this time of year and the festivities that ensue, keep in mind that large social gatherings are one of the most difficult environments for someone with hearing loss. Even if surrounded by loved ones, not being able to hear or engage in conversations often makes them feel isolated. Statistics show that 50% of us will have someone with hearing loss at our holiday table. Thirty percent of holiday gatherings will include someone with hearing aids. We've compiled a short list of tips to make sure everyone feels included in the upcoming festivities. 1. Reduce or eliminate background noises in the main gathering space, such as music or the TV. 2. Remove or minimize obstacles that interfere with a person’s ability to lip read, such as dim lighting and large centerpieces. 3. Ask your friend/family member where they’d like to sit. Seat them beside someone who will help them navigate conversations. 4. If asked to repeat yourself, consider rephrasing what you just said. Oftentimes, those with hearing loss have difficulty hearing a particular word or or deciphering a sound of speech. 5. When speaking to someone with hearing loss, stay close. It's often a good idea to touch their arm or shoulder before you speak to get their attention. Face them in case they need to read your lips. 1. Choose a place at the table that is best for you. If seating has been pre-determined, ask the host if you can re-arrange yours. 2. Sit beside someone who is your advocate; someone who will repeat things for you if necessary and be patient with you. 3. Too much background noise? Move the conversation to a quieter room, if possible. 4. If the music or TV is too loud, ask the host to turn it down. Be polite, but assertive. Don’t be afraid to ask for what you need. 5. If you have hearing aids, wear them! You can always make adjustments to volume or settings if needed. Most importantly, we hope everyone enjoys this holiday season surrounded by those you care about most. Sending all of you our best holiday wishes. Cheers!